“I was in California,” the consummate ad man Don Draper rhapsodized last season in Mad Men. “Everything’s new, and it’s clean. The people are full of hope. New York is in decay.” The suburban landscape that awed him circa 1963 was the fruit of a warm climate, middle-class manufacturing jobs, Federal Housing Administration mortgages, brand-new interstate highways, and tax code changes that made shopping malls a slam-dunk for developers. The immediate result was master-planned communities such as Lakewood, California, “the Levittown of the West,” which started from nothing in 1950 and had grown to 17,500 homes by the time Don Draper rolled through town. The rest is post-war geographic history. There have been others. The suburban landscape we once aspired to and now take for granted is changing before our eyes. The absolute number of vehicles on America’s roads fell last year for the first time in fifty years. So did the number of miles driven and the gallons of gasoline consumed. ExxonMobil believes the latter is in permanent decline due to high prices and biofuels. Our centrifugal patterns of urban development are no longer a given. A study released last summer by CEOs for Cities found that homes in denser, more walkable communities commanded premiums as high as $30,000 in cities like Charlotte, Chicago, and Sacramento. Another study the year before concluded that distant suburbs had suffered much steeper declines in value than those in “close in” neighborhoods. The Obama administration feels the same. “The days where we’re just building sprawl forever, those days are over,” the President announced within a month of taking office. Two weeks ago, he told the U.S. Conference of Mayors “we’ve learned a great deal about what we can do–and shouldn’t do–to help rebuild and revitalize our cities and metropolitan areas for the future. So the budget that I’ll present next month will begin to back up this urban vision by putting an end to throwing money after what doesn’t work–and by investing responsibly in what does,” backed in part by $300 million in stimulus-funded grants for cities willing to follow smart growth principles. 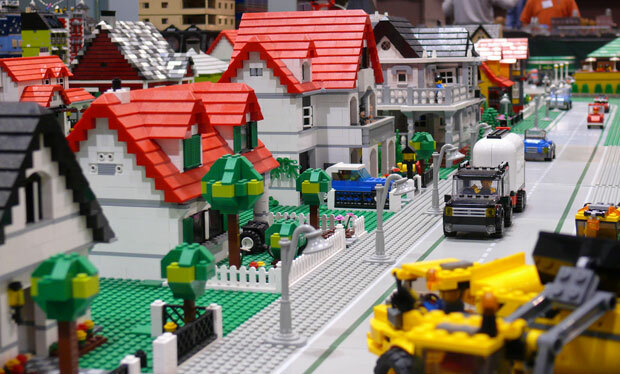 New Urbanists and city-dwellers cheer such talk, while suburban defenders such as Joel Kotkin hear a declaration of “war against suburbia.” But as always, the messy reality falls somewhere in between. A year ago, I asked Alan Pisarski, the dean of transportation studies and author of the monumental, decennial “Commuting in America” series, whether traffic and congestion patterns suggested Americans would rather walk than drive. “People may want places to walk,” he replied, “but they may want to drive to get there.” His point is that Americans may choose to live, work and play in mixed-use communities, but they have no intention of moving any closer to cities. For one thing, America’s population has doubled since the flight to suburbia began in earnest around 1950, and so there aren’t enough brownstones to go around. 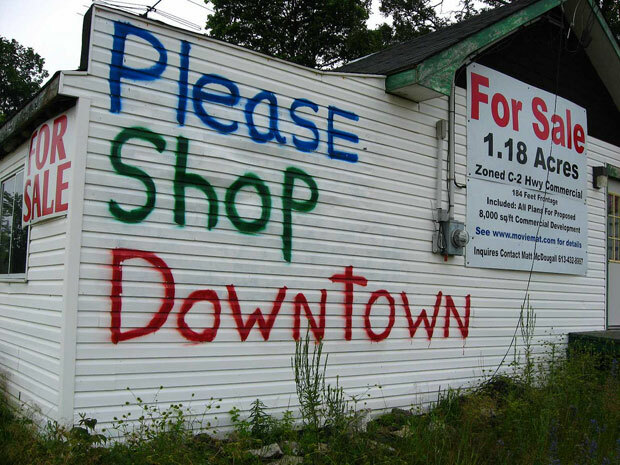 For another, commercial development in America doesn’t encourage it. If we need and want dense, walkable communities, we will have to figure out how to build more of them. If we want to change the spatial fix of America, we will either have to change the underlying conditions to make density more profitable, or find someone enlightened who can work within the existing system. Realistically, we’ll need more of both.